When smart phones originally came out not many people were developing apps for them. It didn't take long for the amount of developers to increase significantly though and get to the point it is at today. Both Apple App Store and Google Play have over 1,500,000 apps available in their stores. Most of these apps never gain popularity though, why is that? One of the biggest reasons your new mobile app never gains popularity is that you don't get the word out. When you create an app it isn't as simple as placing it on a mobile market. 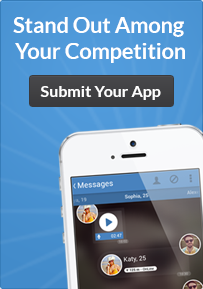 You need to advertise your app and have other websites promote it. Many people fail to even make a compelling website for their apps. The slogan "there is an app for that" came about with good reason. There is pretty much an app for everything on the market, actually there is at least two or three apps on the market for most needs. With this many apps on the market it's hard for users to decide which one to download. In most cases though the decision comes down to which app has the highest ranking. A high ranked app means that it will be almost impossible for someone to introduce a new app for that same niche. For example, Snapchat would be extremely hard for any company to compete with. Facebook, a big company, attempted to compete with Snapchat and instead the app did terrible. People get bored extremely easy. If your app isn't built to hold their attention it will be near impossible to get anyone to want your app. Your app has to involve new content whether it is posted by you or the user. Even games have to have new content such as new levels, guns, themes. While it is possible to debut a new app that goes viral it isn't seen as often as it used to be. There is already an app out there for most things. Apps have also become a normal part of our lives so most people aren't as easily excited by new releases.